The new offering from TT, currently in Beta stage, will help you access TV channels on any screen and are the first of its kind device in India. The TelecomTALK stickers will be able to fit in your pocket easily. The stickers will use the micro spectrum technology to facilitate linking. New changes have been brewing in the DTH and cable industry lately. The new Trai tariff regime has disrupted the industry with its new pricing and many more changes which are slowly making their way into the system. There are no two thoughts about the fact that the cable industry is one of the biggest one, because India is one country where the entire family unites in front of the TV screen to watch their favourite TV shows. Ever since the time of the TV antenna, which is likely to evoke a feeling of nostalgia in the minds of many people, TV shows have ruled the household entertainment. With the new wave of change spanning across the entire industry, we thought it to be the best time to launch a very unique offering from us – the TelecomTALK Stickers. We decided to go a step further with our innovation and with the help of our partners at the internal hardware department at TelecomTALK, we brought to life India’s first live TV viewing and broadcasting stickers. In the latest tech world of ease and fast access, every TV viewer dreams of getting their favourite channels easily without any hassle and this new product from us seeks to solve exactly that problem. 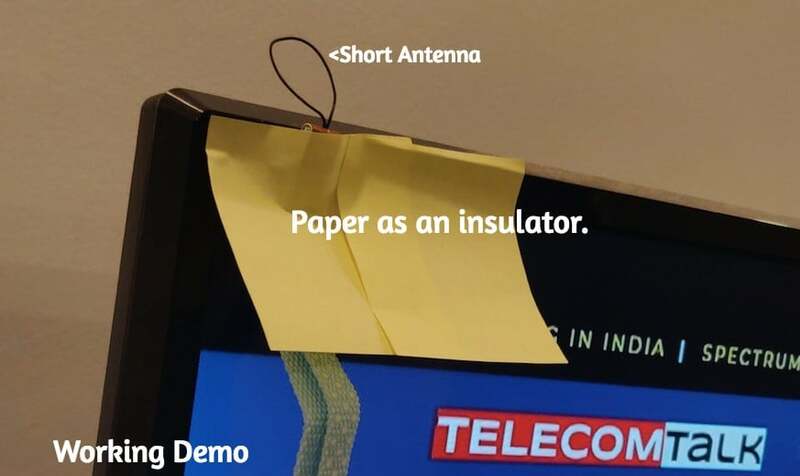 The new TV Stickers from TelecomTALK will come with a mini antenna which will route the signals to the device inside which will work based on a micro spectrum technology. Currently, the new product remains in beta testing phase and we are already on the task of checking how the product is performing and to our surprise, the TelecomTALK stickers have delivered us consistent high quality across all the channels. Since the product is in development and our software and hardware team is working hard to power pack these stickers with all the latest features and apps, we would like your suggestion in the comment sections. Feel free to give your inputs regarding what more features you would like to see in this new innovative product from TelecomTALK. In the comments below, tell us why we should select you for the Beta testing and how you will be able to help us innovate further on this cutting-edge product.